Despite the features incorporated into the new Slimline Moonphase Collection, the true genius of these watches is that each complication can be accessed through the watch’s single crown. This ability is an increasingly important feature in Frédérique Constant watches.The crown can be set into three positions. Position 0 is selected for winding the watch. At Position 1, the date can be adjusted by turning the crown clockwise. 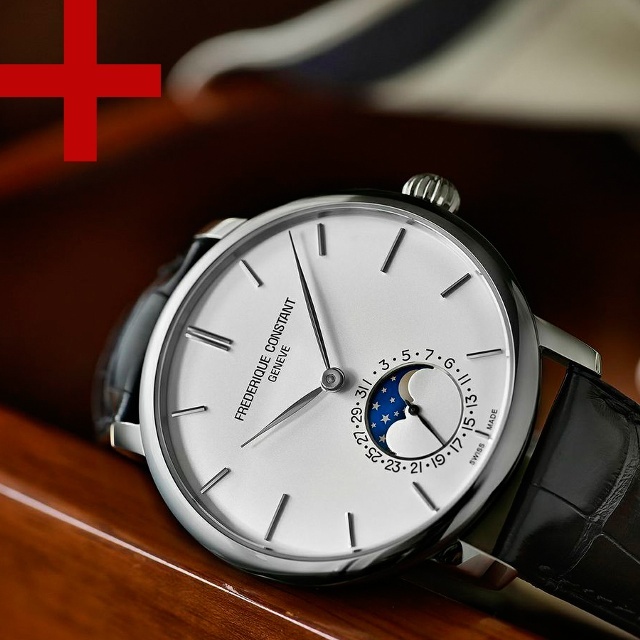 Turning the crown counterclockwise allows users to adjust the moonphase. Finally, Position 2 allows users to make adjustments to the hour and minute hands. Other common features include the elegant slimline design and a 42 mm case. All models also come with a convex sapphire crystal on the front and see-through case back. In addition, each dial presents the date display and moonphase at the 6 o’clock position. A new technology known as laser ablation has been used to create an detailed and precise image of the moon. 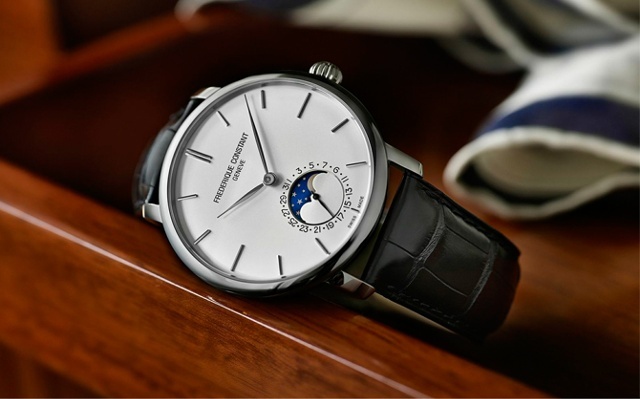 Finally, each of the new Slimline Moonphase models comes with a 26-jewel movement, an impressive 42-hour power reserve and a Perlage and Circular Côtes de Genève decoration on the movement.